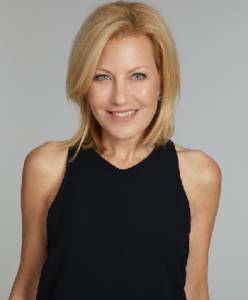 The Oral Cancer Foundation has a new relationship with the Vice President/Publisher and Chief Revenue Officer of Marie Claire magazine, Nancy Berger at Marie Claire NYC Headquarters. Nancy has generously offered to allowed herself to be auctioned off by CharityBuzz, the well-known seller of experiences, for a breakfast or lunch for two (2). After the meal the winners will then take a tour of the famous fashion closet, a walk-through of the design process in the art department and color room, get an inside peek at celeb editors in action, and leave with a fabulous goodie bag full of beauty and grooming products for the winner and their guest! The winner(s) will experience how a national magazine comes to life each month. Raising funds for the oral cancer issue via OCF, this auction will help support awareness campaigns, research and patient outreach that helps save lives. The auction went live on Wednesday, November 15, 2017 and bidding has started. Marie Claire is the fashion magazine with character, substance, and depth for women with a point of view, an opinion, and a sense of humor. Nancy plays a key role as publisher with the ultimate responsibility of defining what the magazine is about, and making sure that it is a success. She not only ensures the financial health of Marie Claire, but also manages circulation, sales, production, and editorial content. Marie Claire is published in 26 countries and is read by more than 15 million worldwide each month. The magazine was founded in 1937 by French industrialist Jean Prouvost, whose goal was to present the realities of life mixed with fashion and beauty coverage. While the financial support for the many missions OCF engages in is important, OCF’s view of this amazing opportunity is focused elsewhere. The foundation represents a deadly disease, that in the US too many people have not even heard of until it directly impacts their lives. That lack of visibility has far reaching implications; leaving those affected by this disease without a significant voice. The most obvious is that without national awareness, the knowledge of avoidable risk factors that might bring you to it does not exist. Further, absent a well-established national screening program, early discovery of pre-cancer and early stage disease does not often take place. This means poorer long-term outcomes, and a much higher morbidity from the treatments patients must undergo to cope with an advanced stage cancer. While OCF may have the greatest reach being the largest of the oral cancer charities, it is still small when compared to charities that represent larger incidence cancers whose names are widely known. These large charities impact hundreds of thousands each year in the US alone, and take in tens, if not hundreds of millions of dollars a year in donations to advance their agendas and serve the populations they represent. The Oral Cancer Foundation does not have those assets to work with, but it can develop strategic partners that help serve in other ways. OCF’s thoughts are on what this relationship means to that paradigm. We may be at a tipping point in the disease if we can raise the awareness of it. When people with this much visibility become associated with a problem, it cascades into CHANGE.